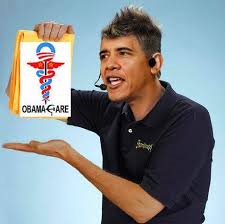 President Obama flew in to Boston today to deliver another “ShamWow”-style infomercial for Obamacare, and it went about as well as his entourage’s snarled traffic debacle in Beantown. As millions of Americans are being kicked off their desired insurance plans and seeing their premiums skyrocket, the President had a lot of ‘splaining to do today. For starters we anticipated a Presidential apology for lying to Americans repeatedly when he promised things like, “If you like your current health care plan, you can keep it.” Make no mistake, he knew he was lying when he said that. And make no further mistake, after five years of false Obama claims, no one should actually expect contrition on this administration’s part. Bloomberg reports that in June of 2010, the administration knew millions would be kicked off existing healthcare plans due to Obamacare; but President Obama continued to knowingly deceive the American people with repeated claims that if we liked our current plan we could keep it. So, finally busted, did the President apologize? Was remorse and sympathy shown for Americans who now can’t afford health insurance thanks to Obamacare? Nope. He instead informed us that Americans who receive cancellation notices have been on “substandard” plans supplied by “bad apple” insurers. That’s right. Obama didn’t lie to you when he said, “if you like your plan, you can keep it.” Why? Because, you sillies, you DIDN’T REALLY like the plan you chose for yourselves! No arguing. Barack Obama knows best and he’ll tell you whether you actually liked your insurance plan or not. If you’re an elderly bachelor, your old plan was clearly “substandard” because it didn’t offer maternity care. What’s that you say? You don’t need maternity care? Well, according to the President today, he says you do, and any insurance plan that doesn’t offer it is a “junk” plan provided by a “bad apple” insurer. Turns out selling Obamacare isn’t all that different from selling other things — say life insurance or reverse mortgages. O.K., maybe it’s a little different. But lately, President Obama has been acting and sounding like some famous TV pitchmen you’re bound to recognize. Go here to read the rest and to view a video put together by ABC comparing Obama to other TV pitchmen. When the mainstream media is turning on Obama you know there is a lot of blood in the water. Obama’s only 55 the day he leaves office. Plenty of years ahead of him to hawk reverse mortgages on late night television (and more suitable to his talents than any other occupation he has had to date). The devil went down to Washington DC looking for some souls to steal. He was in a bind he was way behind so he was willing to make a deal…..Obama care was the cry as he slithered through the mud. Listen to him closely his delivery is as clear as that of Elmer Fudd. Perhaps the scales will fall from the eyes of those who voted for the current president and his party. Various other scandals seem to have had little effect but a sharp dart to their wallet will rouse many from their blissful ignorant repose.